Fight the Arctic Invasion and keep Alaska wild! 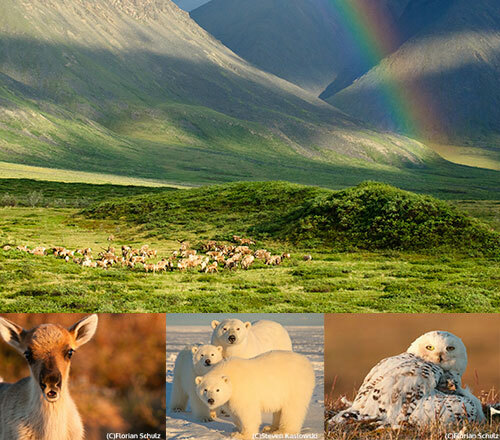 Your donation will help in the next stage of our campaign to keep oil rigs out of the Arctic Refuge and other wild public lands in Alaska. Join our fight as voters, taxpayers and consumers to pressure decision-makers into doing the right thing. Alaska Wilderness League is an independent 501(c)(3) organization (EIN: 52-1814742). Yay! You've selected a one-time gift via PayPal. Click "Donate!" below to continue. Want to help more? Check this box to cover processing fees. If you donate now and are not already a member, you will receive periodic email communications from Alaska Wilderness League.